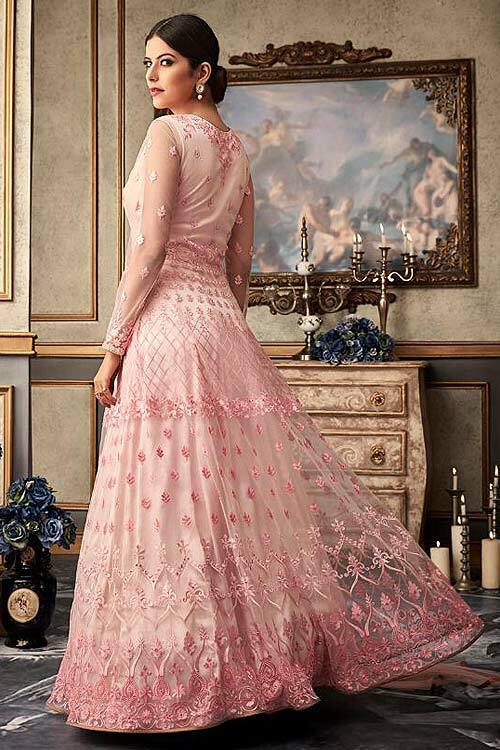 You have added Pink Floral Embroidered Anarkali Suit with Net Dupatta to your Shopping Bag! 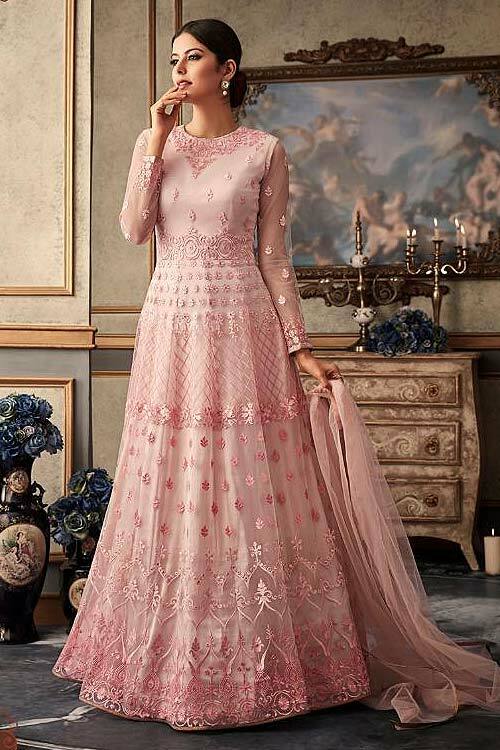 Look enchantress in this heavy embroidered Anarkali suit that features net top accentuated with all over floral embroidery embellished with stone work. Beautiful embroidery with stone work along the sheer neckline and arms is complemented with sweetheart bodice. This net anarkali suit also features raw silk lining and bottom with matching net dupatta. Opt for an elegant up do and matching jewellery for a perfect party look.